PronPack’s in Australia so Australia’s in PronPack! 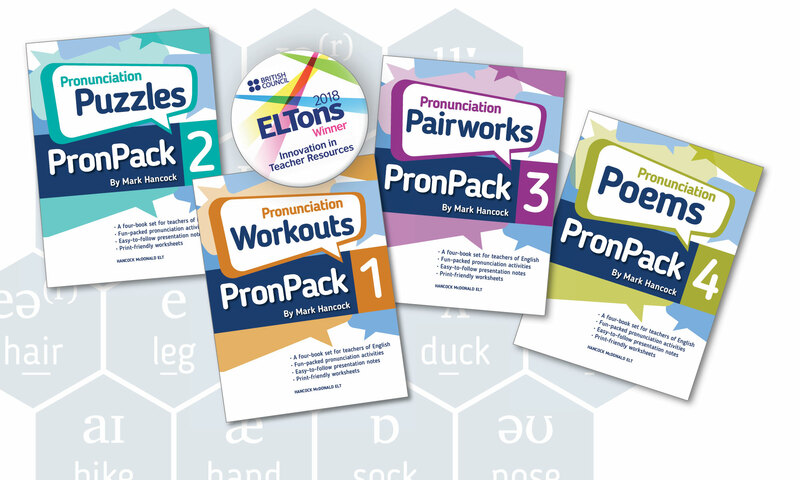 PronPack is now available in Australia from Bookery! To celebrate, we have added Australia to our atlas of “Air Traffic Control”boards – see a free sample of the game here. Download the various versions here (Activity 3.1 New Versions). 2 I’m OK! Say that to yourself. Teachers sometimes feel they aren’t a good pronunciation model because they aren’t ‘native speakers’. That’s not true. If you are an intelligible speaker of English, you are a perfect model. When we think of English as a lingua franca, the term ‘native speaker’ no longer makes sense – we are all native speakers of it! We’re delighted to announce that PronPack is now available in Brazil from the SBS Livraria International and it’s at a great discount! Watch a recording of this webinar with Mark Hancock here. It took place December 13th 2018. PronPack wins an English Speaking Union prize! PronPack 1-4 has won an ESU prize for teacher resources in a ceremony in London on Nov 20th 2018, runner up behind David Farmer’s ‘Power-Up’ (NILE). This means that PronPack has now won two main ELT materials prizes in the same year – a rare achievement! It is not always clear if sound and spelling patterns are a matter of pronunciation or of literacy, and for that reason perhaps it is sometimes overlooked in pronunciation teaching. However, in my experience, most learners come to pronunciation class already under the influence of written words and spelling-induced errors are some of the most frequent problems. Homophones are sometimes more than a word. Sometimes phrasal homophones are called ‘oronyms’ In this example, the two phrases are phonetically identical, and this is made possible by the phenomenon of linking: in this instance, it is not possible to say with certainty whether a /t/ consonant is at the end of one word or at the beginning of the next! The Book Depository now lists PronPack, with free delivery worldwide!